Malaysian badminton players Tan Chun Seang, 31 and Zulfadli Zulkiffli, 25 have been banned for 15 and 20 years respectively for match-fixing. During the independent hearing both players were found to have “engaged in corruption offences over a significant period and a significant number of tournaments” from 2013. 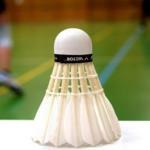 Not only will the players be banned from playing badminton but the bans also cover all other aspects of the sport such as administrative, coaching, officiating and developmental roles. Tan Chun Seang and Zulfadli Zulkiffli’s punishment didn’t end there with the BWF Ethics Hearing Panel also issuing fines of $15,000 and $25,000 respectively. The suspensions came into effect from the 12th January 2018. This is the date on which both players were provisionally suspended by the Badminton World Federation. Tan Chun Seang and Zulfadli Zulkiffli do have the right to appeal their bans but whether they intend to do so remains unclear. The differences in the length of bans came down to the number of violations. The BWF ruled Zulkiffli had been involved in manipulating the outcome of four matches and committing 31 violations of the sport’s code of conducts between 2013 and 2016. Tan committed some 26 violations but over a shorter period of time. Previously Tan had been banned back in 2011 from playing in Asian countries for two years following his decision to quit the Malaysian national team. This is not the first problem to beset Malaysian badminton players in recent years with former world number one Lee Chong Wei being banned in 2015 for eight months over doping. Hopefully this tough stance by the Badminton World Federation will deter any other players from going down the match-fixing road. With the BWF recently announcing their desire to put players first and increase potential earnings maybe this would lessen the financial lure to fix results. It should be noted that badminton is far from being alone from match-fixing allegations with other bigger sports such as cricket and football having had their fair share of betting / match fixing allegations. Sport as a whole needs to be tough and these types of lengthy bans are a good way to send a message to all involved.